Model GM is used to fasten light-weight devices to 19-space bar grating. 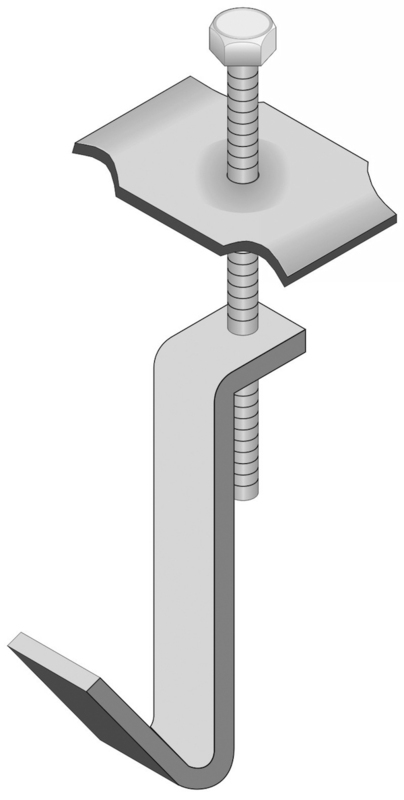 The GM fastener is designed to be used instead of J-Bolts. Model GM will withstand 1000 pounds of direct upward pull force. Available in galvanized carbon steel and 316 stainless steel. These devices are intended to secure instrumentation stands typically with slotted or round holes. Tools Required: The Model GM can be installed using a spanner wrench or tongue and groove pliers. This grating fastener is used to mount instrument stands as well as other devices onto existing grating services. Model GM does not fasten grating to structural steel supports. 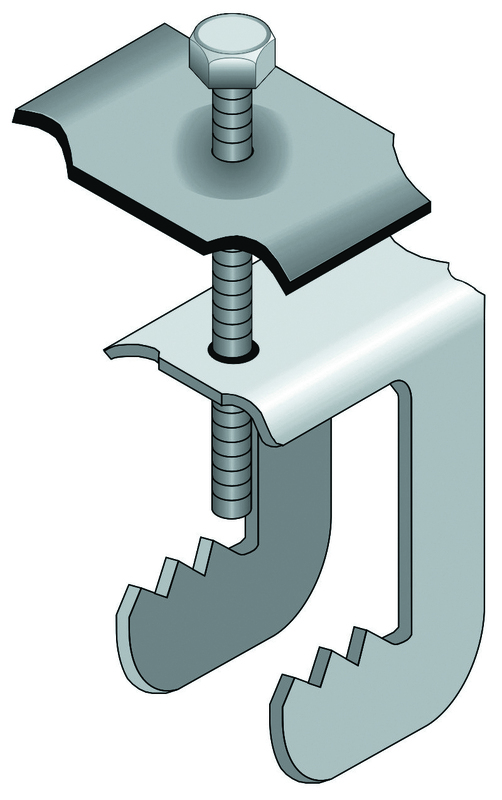 For grating attachment to structural shapes when the flange is in a vertical plane. For grating attachment to structural shapes when the flange is in a horizontal plane. 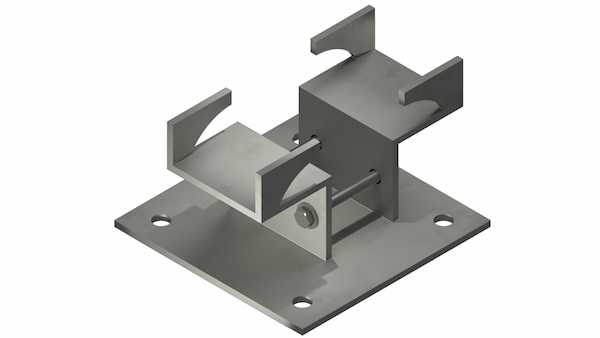 TechLine Mfg’s unique Beam Mount product allows you to fasten a wall mount stand to a beam without welding. TLIS_ _ 4-6 Beam Mount for 8’X8” Base Plate Instrument Stands. Adjusts from 4” to 6” wide beams. The Snap Track STUSB-ZP-KIT connects to a 2” nominal bore pipe instrument stand or other structure with a U-bolt. 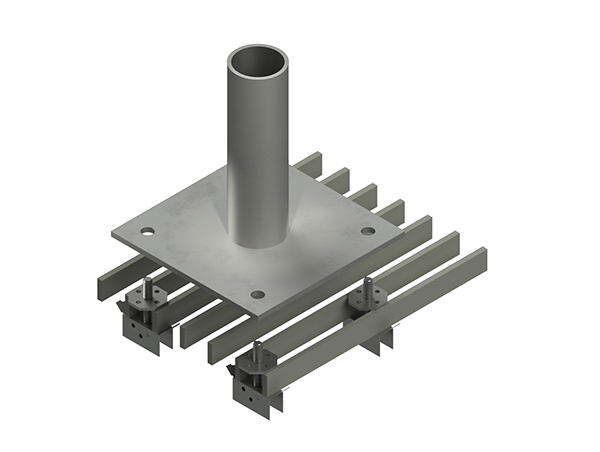 This allows the connection of Snap Track cable tray in either a vertical or horizontal plane. The kit contains 1 STUSB-ZP strut bracket, (1) 5/16”X2” U-bolt with nut and washer, (1) 3/8” spring nut, (1) 3/8” X 1” hex bolt. (Additional fasteners are required for vertical mount). All kit items are zinc plated.